← Plan B. Why we should always have one handy. In cities across America, coffee shops have become a mecca for professionals to gather in one place and share experiences, intel, advice and networking opportunities. Most of those guys and gals sitting at the corner table, intently working on their computer while nursing a cup of coffee for three+ hours… are educated people just trying to do their work or drum up some lucrative business in an economic market that has been challenging at best. 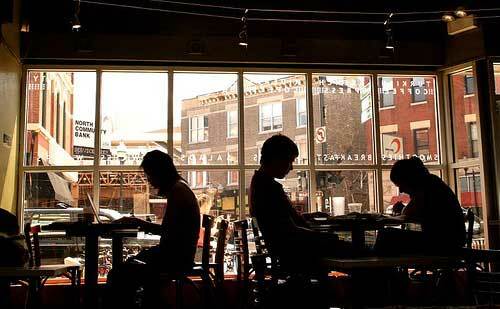 The real estate development folks refer to these coffee shops as “third places,” an extension to one’s living room. It’s true, a coffee shop is not just a coffee shop anymore. Many an interesting character can be seen frequenting these “offices” … a lot of wisdom, gathered in one room. “It took him only fifteen minutes to walk to the coffee shop. It was hot and humid, but he was used to it. The Panama hat that he wore shielded him from the sun, which was a good thing. He opened the door and was greeted by a blast of frosty air. “The staff always keeps the air conditioning on way too high,” he muttered to himself. His favorite seat by the window was thankfully empty, so he strode over and placed his computer bag down. Looking around, he noticed all the regulars. There were students, architects, retailers, some mellow reggae musicians, a poet and a few homeless veterans who had a lot of interesting stories to tell. Everyone usually stayed there for at least three or four hours, nursing their one cup of coffee and nibbling on a pastry. Money was still very tight for most people. The coffee shop was over-priced, but the customers enjoyed the music. The ambiance was nice. He remarked to himself that he hadn’t seen some of his old buddies and colleagues for a long, long time. 2013 sure looked and felt a hell of a lot different from 2006. A lifetime ago. Back then, they were all starting to feel the pinch of a tanking economy. One by one, his friends dropped out of the consulting scene. A few went bankrupt. Some divorced. Others had left the state and even the country. A few had died. There were several guys who seemed to have fallen off the face of the earth. He decided to check his LinkedIn, to see if they had made any status updates. As he scrolled down, he noticed that most of them were doing something entirely different. And he was no exception. That’s the nature of the beast. When the economy tanks and stays tanked for such a long time, you either sink or swim. You hope for the best, but plan for the worst. It’s called Plan B. The interesting thing is that sometimes “Plan B” turns out to be the best thing that ever happened to you. Excerpt/vignette “Coffee Shop Jive” (pp. 104-105) from Casualties of the (Recession) Depression. 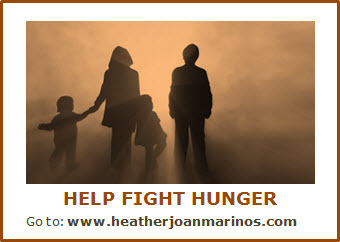 Copyright © 2013 by Heather Joan Marinos. All Rights Reserved. Image (at very top) via visagemobile.com. This entry was posted in Casualties of the Recession/Depression, heatherfromthegrove, lessons learned, other musings, visionaries, philanthropists & sheer brilliance and tagged Action Against Hunger, Casualties of the (Recession) Depression, Coffee, Coffee Shop Jive, Coffee Shop mentality, Coffee Shops, Feeding America, Heather Joan Marinos, heatherfromthegrove, Help Fight Hunger Book Promotion, Hunger, LinkedIn, World Food Programme. Bookmark the permalink.